At this point, I’m not sure what the heck Warner Bros. is doing with their DC Comics Properties! If the Marvel Cinematic Universe is best described as a well-oiled machine that’s firing on all cylinders, the DC Universe should be described as a physician that can’t tell if a man is dead or alive. Anyway, remember that Joker movie that’s happening outside of the current DC Universe? 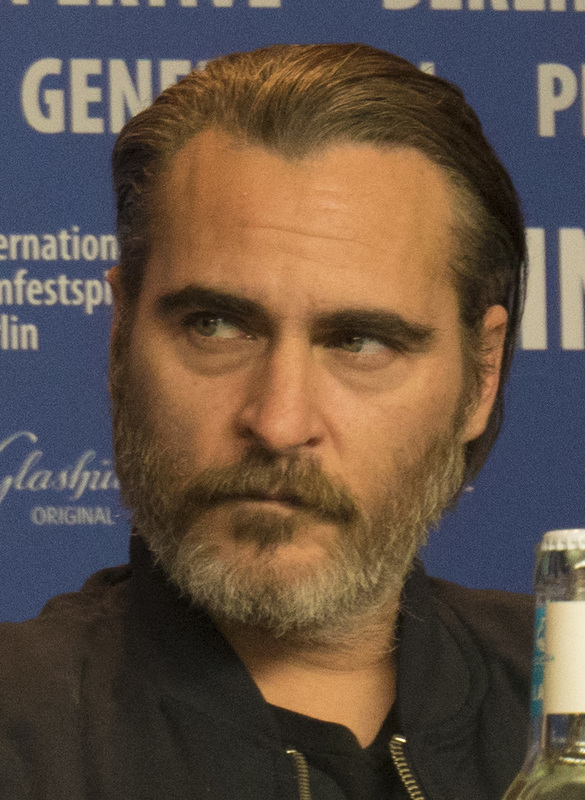 It is apparently moving forward with a fixed production plan, under the direction of Todd Phillips and now stars Oscar-nominated actor Joaquin Phoenix! The film is on track to begin production in two months time, has a $55 million budget and is aiming for a 2019 release date. It seems that the vision Warner Bros. has for this film is unique compared to other DC properties. And the stand-alone is meant to be darker and more experimental in tone and content (at least as experimental as a studio can be with established brands such as DC), which is described as being akin to a crime drama. This isn’t the first time Phoenix has been courted to star in a comic book picture. At one time he was the frontrunner to star as Doctor Strange but Phoenix turned the role down due to a reported aversion to being contractually obligated to starring in sequels. Phoenix has an outstanding body of work as a performer landing multiple Academy Award nominations for the films Walk the Line, The Master and Gladiator and his other notable credits include Her, Hotel Rwanda and Inherent Vice. 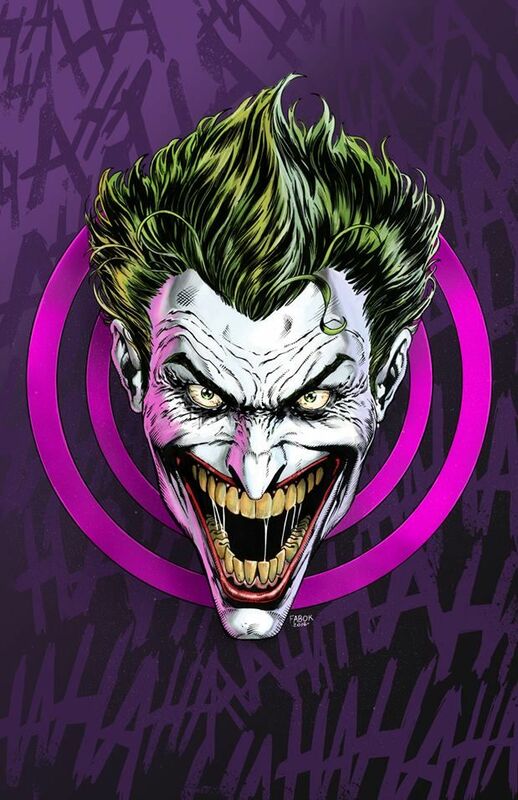 I believe he’ll bring the proper madness to the makeup of the Clown Prince of Crime but I just don’t see a purpose as to why the studio is going forward with this project; especially since the DC Universe is seeking to move forward with another standalone Joker movie with Jared Leto reprising his character from Suicide Squad. The logic behind Warner Bros. moves at this point? As logical as the character who has been the antithesis of Batman’s character since 1940. Let’s see what happens shall we? Deathstroke is Strong Enough for His Own Standalone Film! When The Batman was announced way back when, Ben Affleck tapped notable fan-favorite anti-hero Deathstroke as the Dark Knight’s antagonist in the picture and Joe Mangionello was cast to go toe-to-toe with Affleck’s Batman. Since Matt Reeves signed on to direct the film, much of the details about The Batman became clouded due to rewrites and leading to speculation that Deathstroke may or may not be the villain of said picture. It has also been speculated that if Reeves elects to go in another direction regarding the villain, Deathstroke may be considered for the villain of another DCEU picture such as Nightwing. Speculation about the fate of the DC Comics mercenary Slade Wilson can now be put to rest due to the announcement that a solo Deathstroke picture is brewing. An expert in hand-to-hand combat, military tactics, weapons and an intellect among some of the most prolific villains in the DC mythology, is basically an adversary worthy of Batman’s attention, capable of fighting him on his terms and his level. Gareth Evans, director of The Raid, is currently being courted to direct the film with Mangionello potentially leading the picture. No deals have been completed with Evans or Manganiello. The actor was previously cast as the villain in Ben Affleck’s solo Batman film, back when Affleck was both starring in and directing The Batman. It is unclear if he will still appear in a solo Batman film, which director Matt Reeves is now helming. Deathstroke joins a growing collection of prominent villains worthy of their own feature-length films. Suicide Squad already broke ground for the DC villains, another Suicide Squad picture is in the works with Gavin O’Connor directing, Black Adam-the archenemy of Shazam-starring Dwayne Johnson is getting his own film, a feature focused on Jared Leto’s Joker and Margot Robbie’s Harley Quinn is supposed to happen in the near future; the DC Extended Universe is certainly taking the time to explore both the worlds of heroes and villains. There is no word on when this solo Deathstroke movie will go into production nor a release date. Last year, DC Comics and Warner Bros. did not have a good year. Batman v. Superman: Dawn of Justice and Suicide Squad made their way into theaters and though both films enjoyed significant financial success, both film were thoroughly skewered by critics, myself included. To be honest, I thought Suicide Squad was better than Batman v. Superman, but that’s like saying 0>-2; Suicide Squad was more enjoyable but it was mess through and through but Warner Bros. wants to give the team of villains commissioned to do black-ops for the government another shot with a sequel and I think that the sequel is in good hands with Gavin O’Connor. I remember O’Connor’s name very well. In 2011, O’Connor co-wrote and directed the drama Warrior starring Tom Hardy, Joel Edgerton and Nick Nolte, who gave an Oscar-nominated supporting performance, and the film was very well-done. Over the past few years, O’Connor has directed hit-or-miss films such as The Accountant, starring Ben Affleck, Anna Kendrick and J.K. Simmons, and Jane Got a Gun, starring Natalie Portman, Ewan McGregor and Joel Edgerton. Hearing that O’Connor’s name associated with this production certainly fills me with confidence based on how I enjoyed Warrior. Suicide Squad 2 is set to bring back Will Smith, Margot Robbie, Jared Leto and Joel Kinnaman and aiming for release in 2019. What’s In and What’s Out of the DCEU? Who Knows? Batman perhaps has the most prolific rogue’s gallery in all of comic mythology ranging from the earthy and seductive Poison Ivy, the squatty yet manipulative Penguin, the icy and ruthless Mr. Freeze, to the brilliant and powerful Bane, but there has always been one villain who practically grins to go mano-e-mano with the Dark Knight, every chance he can get! Gotham City’s Clown Prince of Crime, simply known as The Joker, has long established himself as the arch-nemesis and complete antithesis to the Batman. Batman carries himself as the serious figure of order, watching over the streets and citizens of his hometown ready to protect them at a moment’s notice, while the Joker is madness personified with a perverted sense of humor, eager to crack a smile and/or a skull whenever he feels the need to do either. The Bat and the Clown have done battle dozens of times in both live-action and animated features and they have always been paired together. That is, until now! The Joker is getting his own origin story, directed by Todd Phillips, known for films such as The Hangover and War Dogs and the legendary Martin Scorsese is attached to this project in an unspecified role. In a surprising reveal, this standalone Joker picture will not be a part of DC Extended Universe and Jared Leto, who starred as the Joker in Suicide Squad, will have no involvement in this project. Sources say the story will take place in the ’80s and have more of the look of a gritty crime drama than comic book movie, which had a lot to do with getting Scorsese’s commitment to the project. I find this a puzzling move for Warner Bros. and DC because I felt that the Joker was very underutilized in Suicide Squad and I was hopeful that Leto would have an opportunity to flex his acting muscles as the purple-clad clown in a future installment of the DCEU, perhaps in a Suicide Squad sequel or in Matt Reeves’ The Batman. Also, it is strange to keep this project isolated from the DCEU since characters in Batman’s canon such as Nightwing and Batgirl are getting their own features but to keep this Joker film separated from this franchise that is appearing to be getting its feet under them is a strange move. Aside from Haynes and Scorsese, only Scott Silver, who is co-writing a script with Haynes, is attached to this project. No one is currently penciled in to portray the Clown Prince of Crime though, nor is a production schedule or release date confirmed. Update: A day after this independent Joker movie was announced, a Joker and Harley Quinn movie starring Jared Leto and Margot Robbie was announced. This film will be a part of the DC Extended Universe and Glenn Ficarra and John Requa the directors of Focus, Crazy, Stupid, Love, and Whiskey Tango Foxtrot, will direct this project. This will be Leto and Robbie’s third stints in the roles of Joker and Harley Quinn, following a planned Suicide Squad sequel. Also, news regarding Matt Reeves’ The Batman is set outside of the DC Extended Universe, has been debunked by Matt Reeves himself. Questions still abound regarding what the project will entail for the character. If The Batman is a part of the DCEU, it is likely that Ben Affleck is still attached to the project but with the script being tinkered by Reeves, the status of Joe Mangionello as Deathstroke is still up in the air. It dawned on me yesterday that I have posted reviews of every Oscar nominee for Best Picture save one! I did some checking and there is not a review of Fences on my blog. I did take the time to see the film last month with my mother on Christmas when it was released, so I will write this review based on my memory of the picture. I apologize if it’s late but this is something I wanted to do. Fences stars two of my favorite actors in an adaptation of renowned playwright August Wilson’s drama about an African-American family in 1950s Pittsburgh. The plot: Troy Maxson is a sanitation worker who works day after day to take care of his family. He comes home everyday to his doting and loyal wife Rose, tries to pass on valuable life lessons to his son Cory, tries his hardest not give money to his eldest son Lyons who comes around the house on pay day and tries to keep his touched brother Gabe out of trouble. By all accounts, everything is fine on the surface but Troy has a secret. His secret is big enough to send shockwaves big enough to rip this family asunder. The legendary Denzel Washington and star Viola Davis played the parts of Troy and Rose in August Wilson’s acclaimed stage production way back when and reprise these roles in a feature length motion picture with Washington not only starring but directing and Fences is practically tame in its execution yet the drama makes up for that in electric fashion. Watching Fences, I felt as though the narrow sets and limited frame of setting gave this movie a near-theatrical experience moreso than a cinematic one. Meaning to say that I felt as though I was watching a play more than a movie and this adaptation stayed small in the sense that the scope was slimmed down to only the central characters and these characters didn’t venture much beyond the world they take place in; perhaps this is what August Wilson intended in his screenplay and what Denzel Washington wanted to do with the film. Small, theater-like, production aside, Fences does boast two of the best acting performances of 2016. Whether Troy is reprimanding his son Cory, bearing his sins before his wife Rose, cursing the heavens for the life he has lived, swinging a bat at the angel of death, you could not ask for more from Denzel Washington as he delivers an outstanding leading performance. I’ve always held Denzel Washington in high esteem and he has failed to disappoint me yet; he is aces in this role! I’ve always believed that Viola Davis is too good for television; she belongs in movies! I was amazed with her small but powerful performance in Doubt, I thought she was phenomenal in The Help, I was sure she would own the role of Amanda Waller in Suicide Squad and she did, and Fences has set her up perfectly to get her the elusive Oscar statue she deserves! Her performance as Rose is heartbreaking, powerful and steady, when she is crying her eyes out in rage and anger, vindictive to Troy, consoling to Cory; she is dynamic and always has been! The supporting cast of Stephen Henderson, Jovan Adepo, Russell Hornsby, Mykelti Williamson and Saniyya Sidney are all solid supporting performances worth mentioning. Technically speaking, Fences isn’t much to look at. Charlotte Bruus Christensen’s cinematography is fair, Hughes Winborne’s editing does well for itself, Marcelo Zarvos’ music is adequate, David Gropman’s production design is alright, the set decoration of Rebecca Brown and the costume designs of Sharen Davis are decent enough. This review is strictly from memory and what I remember about Fences is that this was a movie to celebrate for the performances and the drama and nothing else.